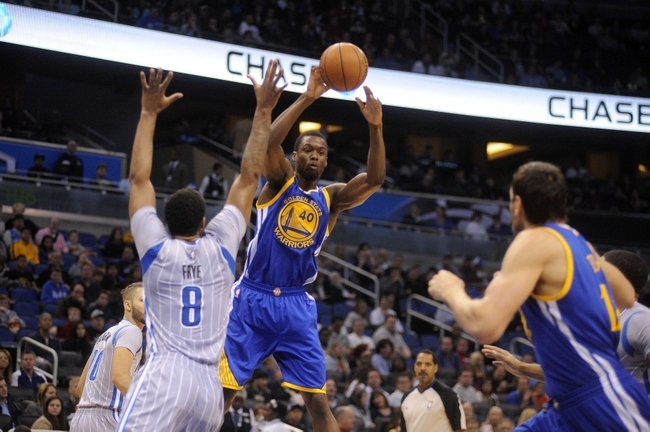 The Warriors opened the season with a victory against the Sacramento Kings on the road. They started off slow, but eventually got the win with an impressive second half performance. 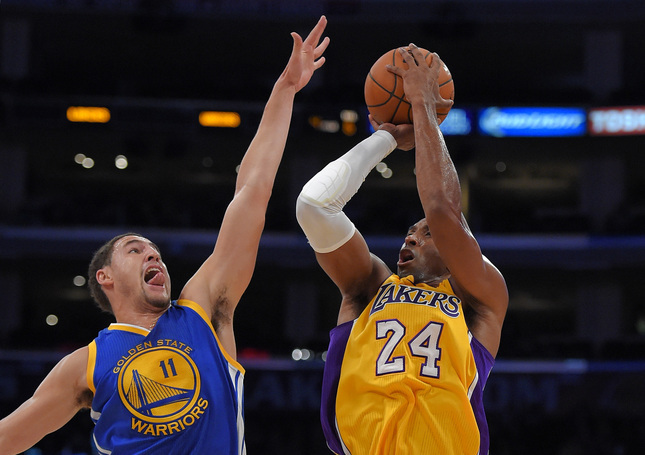 Now, the Warriors host the Los Angeles Lakers in the first game at Oracle Arena this season. Fresh off getting his max contract, Klay Thompson will go up against Kobe Bryant and that match-up is going to be fun to watch. The Lakers are coming off a loss to the Clippers last night and the Warriors have not played since the season opener on Wednesday. The Lakers might be coming into town with some tired legs. Bryant and the Lakers have yet to win a game this season, but they came real close to beating the Clippers. Bryant is the focal point on offense and will put up a bunch of shots. It will be interesting to see how effective Bryant will be in the second game of a back-to-back, but the Lakers don’t have many other options to rely on. Bryant has been averaging 23.7 points and four assists per game this season. 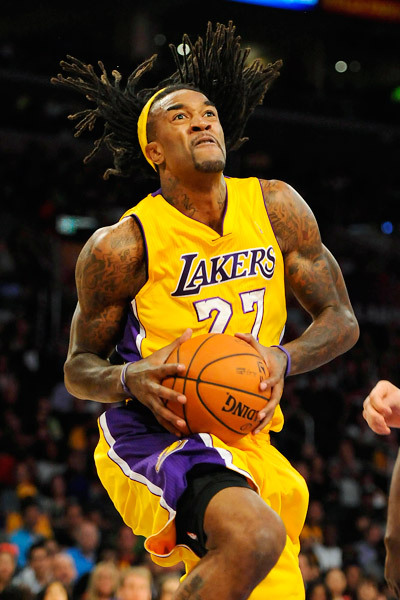 Even if the Lakers are not very good this season, Bryant is still capable of causing some damage. Containing him will be they key to the game. Hill was compensated by the Lakers this past Summer and the investment has been paying off. Hill is averaging 12 points and 8.7 rebounds per game this season, but finished with 23 points is yesterday’s loss to the Clippers. Hill is very active in the paint and is effective on both ends of the court. Hill will be a good test for the front line of the Warriors, he’s a very good rebounder and worked on his jumper in the off-season. Hill has been hitting the 15-17 foot jumper consistently and with that added facet to his game, he becomes much more of a threat. Andrew Bogut scores over Kobe Bryant. Turnovers have been a problem since the pre-season and it continued in the season opener against the Kings. They had 22 turnovers, which is why the game was close in the first half. Steve Kerr’s offense has a lot of movement and passing, but in order for it to be effective, the Warriors have to take care of the ball. Turnovers are so deflating to a team, they disrupt the offense and usually lead to points for the other team. 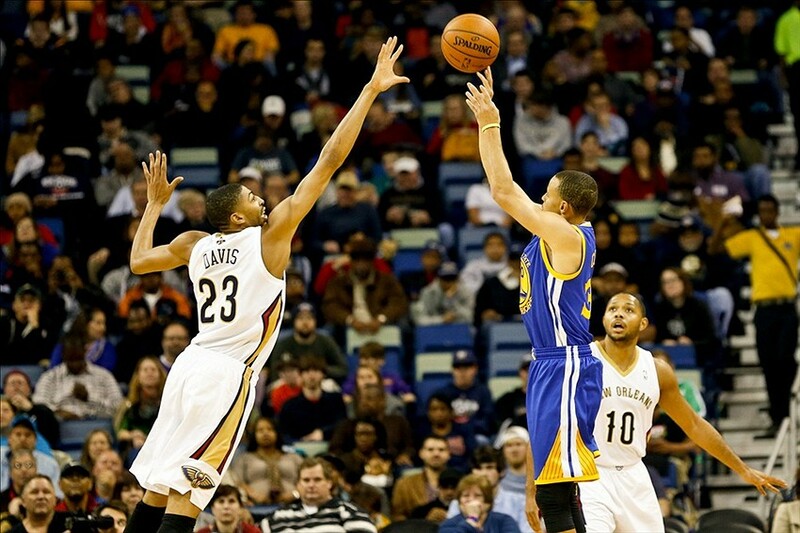 If the Warriors take care of the ball tonight, they should easily get the win. 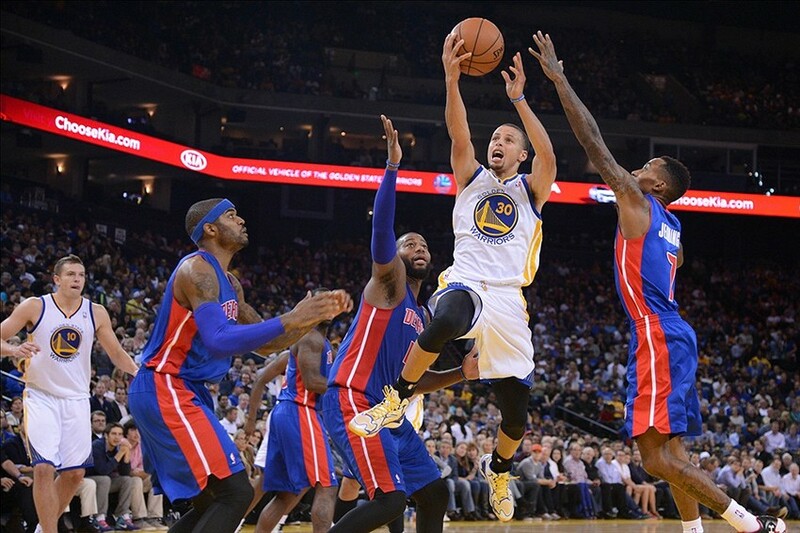 It’s not rocket science, if the Warriors take care of the glass in any game, they will likely win the game. This Lakers team is not very good and you cannot give them second chance opportunities. 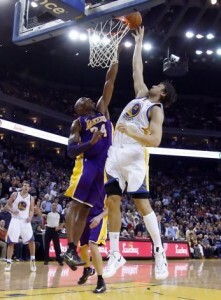 The Warriors lost the battle of the boards against the Kings and need to get back on track in this game. 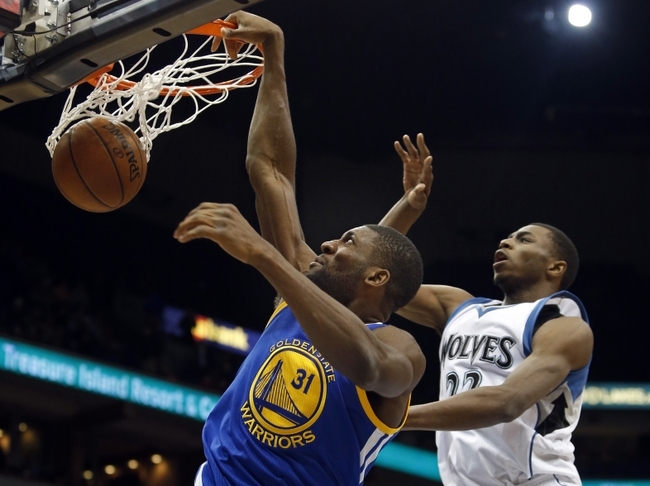 They will be without David Lee once again, so the Warriors will look at other bigs to pick up the slack on the boards.